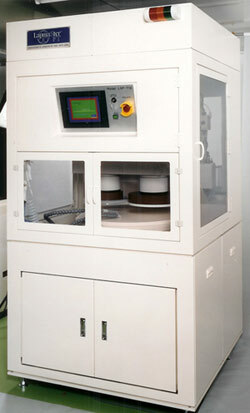 The Lapmaster line of Limited Production CMP systems offers capabilities to process wafers from 4” to 12” in diameter. One model processes 4”-8” wafers, the other model processes 8”-12” wafers. The systems are set-up with two (2) work stations which allows the simultaneous processing of multiple wafers or processing one (1) wafer with in-situ pad conditioning taking place in the 2nd station.